Magazine pouch holds a single standard capacity double stack Pistol magazine. 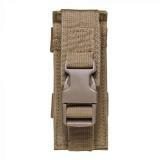 Mounts via MOLLE or belt loop straps. Pouch flap is adjustable for length and has a plastic quick connect buckle to secure your gear in the pouch. 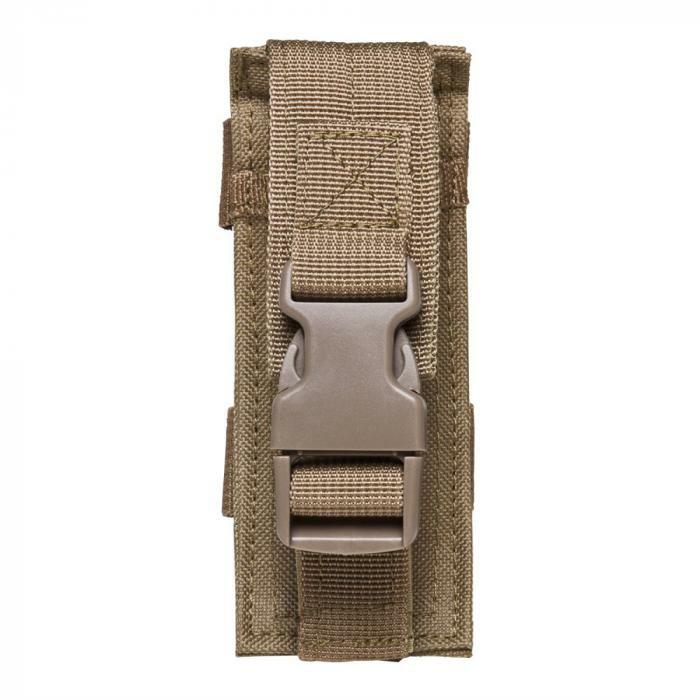 The pouch features multiple MOLLE straps (both vertical and horizontal) with metal button snaps on the back, to mount onto MOLLE compatible gear in the standard vertical or even the horizontal positions. This pouch can also be used for a: magazine, tactical flashlight, multi-tool, or a general purpose pouch.